Space Mountain…where no one can hear you scream. Actually, tons of people can hear you scream. Especially your family members, who are usually directly in front of, or behind, you. They’re the ones who are going to have the headaches by the end of the ride. 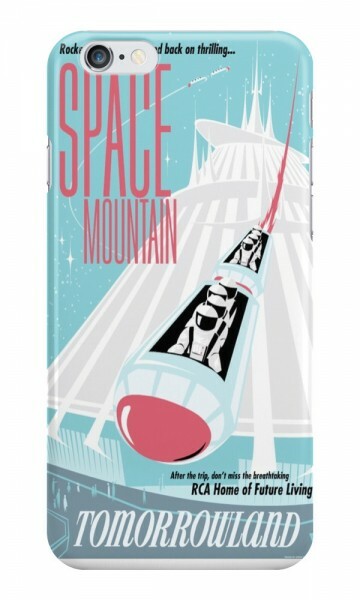 This Space Mountain iPhone Case will help you gladly remember all the times you busted your loved ones’ eardrums screaming the entire ride, from the blastoff at the beginning to the wormhole at the end. Good Times. I need a new case – something with sparkle and kinda princessy. What can you find me Jen?